On June 4, two world titles are up for grabs. In the co-main event, “The California Kid,” Urijah Faber, challenges the UFC bantamweight champion, Dominick Cruz for the 135 lb belt, in the third fight between the two. Almost five years ago, Cruz stopped Faber to win the title for the first time and avenge a previous loss, the only loss of his career to date. 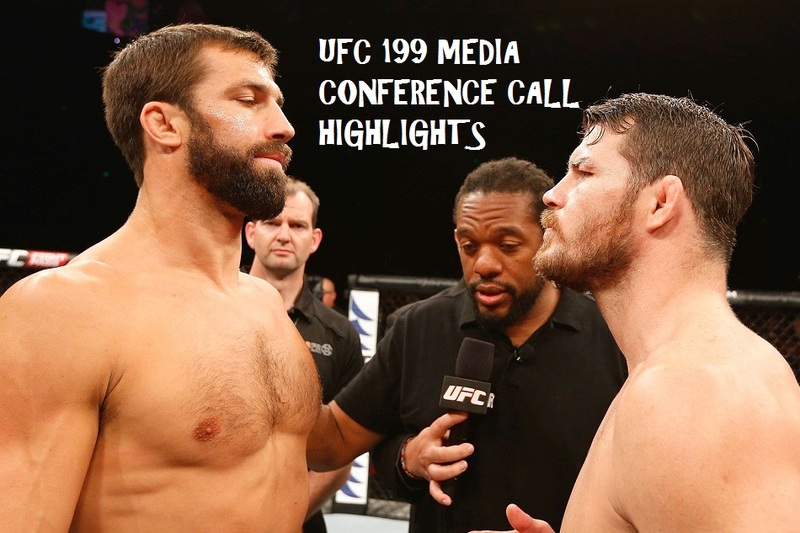 There is no love lost between these two warriors and that was evident during today’s UFC 199 media conference call. “I never really liked Cruz from the day I met him like 10 years ago. He was a little punk. We both have wanted to punch each other in the face for a long time so this should be fun!” Faber said. Cruz loves the emotion of the matchup. “The emotion is important to have in fights. It’s about using it when you need it.” When I met Urijah originally, it was through Eddie Wieland. Urijah was smug and had an arrogance about himself. I never really liked him, either,” the champion said. “I’m going to put a clinic on him just like I did last time,” Cruz continued. Lots of drama for this one, as former champion, T.J. Dillashaw, surely will be stating his case to fight the winner. In the main event, UFC middleweight champion, Luke Rockhold, will be taking on Michael “the Count” Bisping who replaced Chris Weidman due to an injury. Bisping is 5-1 in his last six fights with the sole loss being to Rockhold. Bisping is one of the all-time best trash talkers and he did not disappoint. He continually yapped at Rockhold and said that he was dirty and headbutted him in their previous bout. “I used to train with Luke. I know his holes in his game. I am not here for a payday. I am here to win this thing,” Bisping said. The champ was undeterred as Bisping continue to spew. “If you fought half as good as you talked, you might have a chance,” Rockhold told the Englishman. Two titles, four fighters, lots of dislike…UFC 199 is shaping up to be a very intense card.